After He had finished all His sayings in the hearing of the people, He entered Capernaum (Luke 7:1). 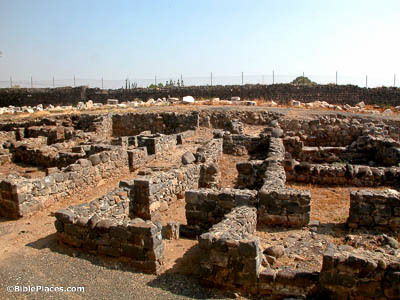 The Capernaum of Jesus’s day was a city with a bustling harbor, public structures, and many homes. Today, however, there is little left to look at. Still, the remains pictured here display the basalt stone that made up most of the local buildings at that time. And it came about soon afterward, that He went to a city called Nain. And his disciples went with Him and a great crowd (Luke 7:11). Two important miracles happened on the slopes of the Hill of Moreh. 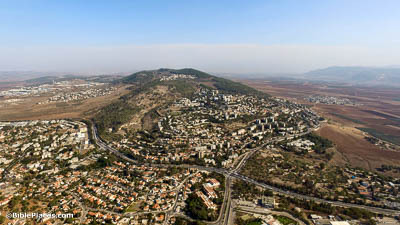 On the southern slope, in a town called Shunem (here, the distant city to the right of the hill), Elisha raised a boy from the dead. On the northern slope, in the city of Nain (the distant city to the left of the hill), Jesus also raised a boy from the dead. It’s possible that Jesus was drawing a deliberate parallel when he worked this miracle. Go and tell John . . . the blind receive their sight, the lame walk, the lepers are cleansed, the deaf hear, the dead are raised up, the poor have good news preached to them (Luke 7:22). 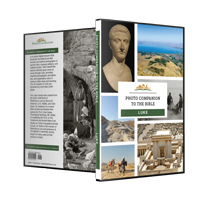 At this point in Jesus’s ministry, John the Baptist had been imprisoned by Herod. 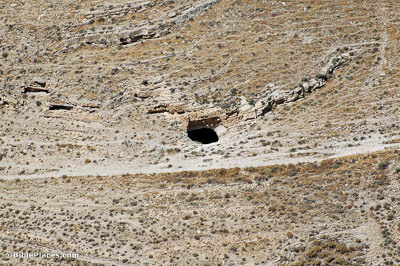 According to one tradition, he was being held in this cave at Macherus. But regardless of his location, John was evidently suffering discouragement, even to the point of questioning Jesus’s identity. To reassure him, Jesus had his disciples report the miracles being done; this would prove to John his Messianic identity, as described similarly in Isaiah 35. What did you go out to the wilderness to see? A reed shaken by the wind? (Luke 7:24) The location of John’s ministry in the wilderness is never given. However, the fact that many people traveled to hear him does seem to narrow the options a little; it’s reasonable to think that John may have stationed himself closer to civilization, in order to be more accessible. 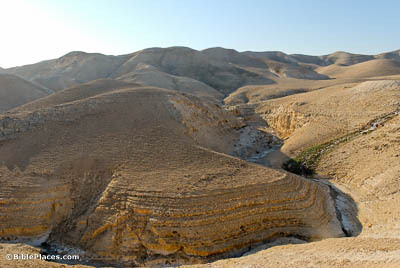 That makes this region, set near the Jericho-Jerusalem road, a good candidate. But what did you go out to see? A man dressed in soft clothing? Those who are in splendid clothing and live luxuriously are in kings’ palaces (Luke 7:25). Jesus’s audience was certainly familiar with the extravagant palaces of the Herodian dynasty. 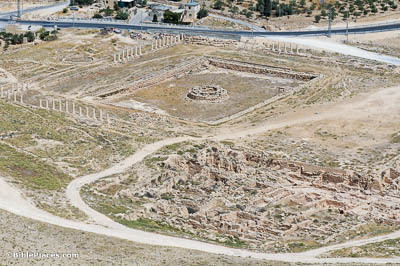 Herod the Great, in particular, was notorious for his construction projects, including the aptly-named Herodium, whose lower city is pictured here. This fortress, which included a large swimming pool and a central pavilion, was not too far off from Jerusalem, and would have been an ever-visible reminder of the luxury that some enjoyed. And He entered the Pharisee’s house, and reclined at dinner. A woman who was in the city, a sinner . . . brought an alabaster flask of ointment, and standing behind at his feet, weeping, she began to wet His feet with her tears and wiped them with the hair of her head (Luke 7:36-38). This is a difficult scene to imagine if we assume a typical Western dining position. 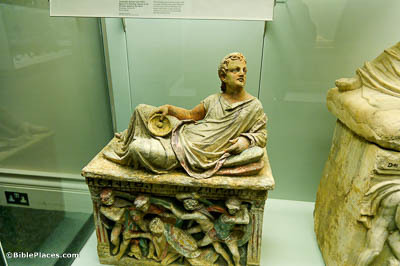 But because Jesus was reclining, as demonstrated by this terracotta figure, his feet would have been easily accessible from behind.